"Individuals must first become aware of where they are now before they can set goals for the future. Change happens best from the inside out, not when it's imposed by someone else." Here's 7-year-old Jaden Soong's swing compared to Rory McIlroy's. I'm sure Jaden didn't build this swing with lots of data. Private lessons last approximately 1 hour. Put together your own group of two - four students. 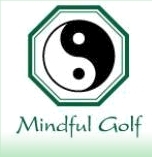 It's a great way to learn Mindful Golf with your friends or co-workers. These lessons can be custom designed to meet the needs and abilities of your group. Group lessons last approximately 1 hour.